Is there a need of a deep constitutional reform in Albania? In November this year, it will be 16 years from the entry into effect of the Albanian Constitution. Lately, since the new election in June 2013 after which a coalition of Socialist Party and Socialist Movement for Integration came into power, there is a discussion regarding the need of a deep constitutional reform in Albania. The need to revise the fundamental document of the state may only be determined by political and institutional developments that have taken place during this period. In fact, Albanian constitutionalists, political actors and analysts, as well as representatives of some independent state institutions seem to concur that the Constitution should not be subject to frequent and partial amendments. In an effort to have the Constitution serve its final goal of constitutionalism, it is of vital importance that state institutions operate within the framework of a relatively stable (hence forseable) constitutional structure. On the other hand, the need for stability in the constitutional framework may not become an insurmountable obstacle for amendments to the fundamental document if and when these amendments are dictated by changes in socio – political mentality and values. An amendment that aims to improve certain technical aspects of the Constitution when current solutions have been proven as deficient, would also be justified, provided that they (the new solutions) do not compromise the overall system of checks and balances or the underpinning principles of the given constitutional model. As a background, it should be noted that during the years since its entry into effect in 1998, the Constitution of Albania has been revised 3 (three) times. The first constitutional amendment took place in 2007 to change the term of office for the elected officials of the local government (from 3 to 4 years). However, the most important revisions were made in 2008. The 2008 amendments, agreed upon by both by the ruling coalition and opposition, modified the procedure to elect the President of the Republic, the procedure for the vote of confidence on the government and the term of office of the Prosecutor General. The third amendment, which took place in 2012, was a calibrated intervention aimed at relaxing the applicable regime of immunities for senior public officials in order to prosecute them in cases of corruption without any legal obstacles. As a matter of fact, most observers and analysts of the country’s political and institutional life converge on the point that the day-to-day functioning of constitutional institutions since the adoption of the Constitution has highlighted a discrepancy between the constitutional framework/principles and the reality of the country’s political and institutional processes. In other words, political actors have been inclined to stretch the interpretation of the Constitution to a maximum in order to adapt it to their transitory political interests. The venerable constitutional tenet according to which “The Constitution is a framework for political activity rather than an instrument for it” does not appear to have striken root in the mentality of the Albanian political class. There are opinions of legal profesionists that the evolution of the meaning of the Constitution through its interpretation by the Constitutional Court is generally welcome and enriching for the Constitution. However, they are much more skeptical on the other form of constitutional evolution (the one through interpretation by implementing institutions in their practical operations). Although this form of evolution of the Constitution (through the practice of constitutional institutions pursuant to the Constitution) is to some extent acceptable, it must be said that it is more dubious and bears greater risks to the integrity of the Constitution. There are several examples indicating that this method of constitutional evolution has been taking place in Albania too. Thus, for instance, the election of the Ombudsman, de facto, by the parliamentary minority (the constitutional ordainment is that the Ombudsman must be elected with consensus among the parliamentary majority and minority) is a constitutional development through the work practice of the Assembly as a constitutional institution. Likewise, the evolving understanding on the role of the Assembly in the appointment of the Constitutional and Supreme Court judges, equating it (role of the Assembly) to the role of the President was also a constitutional development determined by the practice of continued obstructionism by the Assembly vis-à-vis Presidential decrees. However, it should also be emphasized that although the flexibility of a constitution, which is typically tested in the process of judicial interpretation and the practice of constitutional institutions, is a generally positive feature that limits the need for formal interventions (amendments), the need for the periodic revision of the Constitution remains unchanged. The reason why formal amendment of the Constitution is necessary in spite of its constant evolution through judicial interpretation and the practice of constitutional institutions is that these forms of constitutional evolution (interpretation and practice), being limited in their scope and, in the case of the practice of constitutional bodies, often motivated by transitory political interests, may contradict the spirit and underpinning principles of the Constitution. 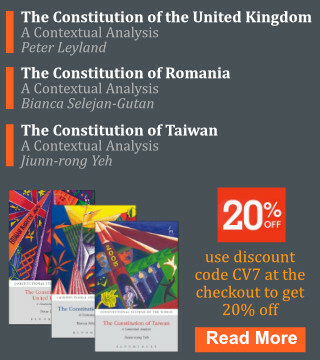 In these circumstances, the formal and comprehensive review of the fundamental document, in a periodical fashion, seems to be the best way to rectify possible distortions coming as a result of the ad hoc approach that characterizes the interpretations of the Constitutional Court, and, especially, the practice of constitutional institutions. There are some ideas regarding the area of interventions such as: the perceived failure of the 1998 Constitution to sufficiently isolate independent institutions from political pressure at the hands of the political majority in parliament and government. Systematic crises that have occurred in the relations between the parliament and the Prosecutor General, the crisis in electing the Ombudsman, recurring difficulties in the process to appoint members of the Supreme Court and the Constitutional Court, the debated role of the President of the Republic in the appointment of other judges, ambiguities with regard to the right of the parliament to exercise oversight through committees of inquiry and the natural boundaries of such activity are only a few of the numerous examples provided by the constitutional chronicle of these 16 years in support of this finding. Another possible route of amendments seems plausible and justified in view of the perceived inability of the Albanian parliament to exercise real and effective oversight on the government. Almost all users, observers, and analysts of our constitutional system converge in the assessment that throughout these years, since the entry into force of the Albanian Constitution, the Assembly has been a lot more a rubber stamper than a controller of the government activity, thus depriving the Albanian society of a vital process in a democracy (parliamentary oversight over the executive). Although, admittedly this state of affairs (diluted parliamentary oversight) is a pattern that affects all parliamentary democracies (unlike presidential ones where control on the executive by the legislative is more accentuated), especially systems with unicameral parliaments, in my opinion the inherent shortcomings of the system it is still possible to strengthen the Assembly’s oversight mechanisms within the current system of parliamentary democracy. Another point of focus of the constitutional reform should be the failure of the 1998 Constitution to guarantee to the proper extent and in the proper way the accountability of the judicial power. This finding, which resonates to a large extent with the perception of the broader public, predetermines another major route of the proposed constitutional reform. Several observers and commentators opine that the 1998 Constitution has done a much better job in guaranteeing the independence of the judicial power than the accountability of this system. Finding the mechanism for a well functioning of the High Council of Justice (a body who elects and dismiss judges), assessing the ratio of its members is a move that appears justified particularly in the light of recent developments to transform the Supreme Court into a career court (a result of this development would be that the Parliament would be obliged to select candidates solely from the ranks of the judiciary) and the growing assertiveness of the judges to assume full responsibility on court administration. Another direction of constitutional reform is predetermined by the evolving circumstances that have taken place as a result of the process of Albania’s integration into the European Union and NATO membership. Namely, in view of the ongoing process of European integration, it is necessary to amend the constitution to enable the automatic incorporation of EU law into our legal order. Likewise, also in the context of the country’s European integration process, is has become necessary to revise the constitutional norm that makes Albanian citizenship a precondition for the right to elect and to be elected, envisioning the right of citizens of EU member countries to participate as voters or candidates in local elections as foreseen by article 22 of the Treaty for the Functioning of the European Union. Well certainly we cannot say that the constitutional path of Albania has been brilliant in these 16 years. We can say that the framers of the Constitution however, have create a very good Fundamental Law for the Republic of Albania considering the situation of the country in that moment; the lack of experience in constitutional and juridical issues; and the total absence of solid institutions which have the pledge to enforce the Constitution itself. Considering the Constitution of 1998 as a hole, like the Constitutional Court prefer to do, we could see that the system of guaranties and balances, especially between independent organs and political ones, presented protection of the entire system. Indeed at the base of all the constitutional system was foreseen a consensual organ which had the power to appoint all the independent constitutional organs that have the function of guaranteeing the constitutional order, the protection of minorities and of individual fundamental rights. I mean Constitutional Court, High Court, General Prosecutor, Head of High Control of the State, and Governor of the Central Bank, without taking into consideration the formal appointment of judges and prosecutors and the high offices of the army. This organ was the President of the Republic for the election of which was foreseen the majority of 3/5 of the members of Parliament. This requested majority for the election of the Head of the State, which by Constitution represent the unity of the people and of the state, force the political parties to reach a consensus between them for the election of the President with the following punishment of dissolving the Parliament. The second positive aspect of the requested majority of 3/5 was the guarantee of an impartial body (super partes), which is not an expression of a political party or coalition only. The impartiality of this organ attributes to him one of the most powerful competencies foreseen by the Constitution: the appointment of the members of the independent and impartial constitutional organs. It is true that then is requested an approval from the Parliament, but the appointees are a substantial prerogative of the President, which guaranteed the impartiality of these organs. This guarantee was abolished with the modifications of the Constitution in 2008. One of the amendments affected the election of the President of the Republic. Now it is not requested a majority of 3/5 for the election of this organ but only a political majority of 50%+1 of the members of the Parliament. This makes that the President now is not anymore a consensual product but a choice of the relative majority, which has no need to seat in a table with the opposition for electing the representative of the unity of the country. This amendment reflects its effects also in the election of the independent constitutional organs, because now there is not a counterbalance to the political power of the Parliament, in guaranteeing the impartiality of these organs. Indeed now there is a concrete risk that a parliamentarian majority can elect not only the President but all the organs which have the function to guarantee the constitutional order, the minorities and the individuals. If we try to anticipate a hypothetical situation regarding the constitutional bodies in the incoming 8 years, we can conclude: the current President will end his duty in 24 July/2017, the current Government also end in June/2017 (seeing the trend of voting in the last 16 years lets speculate a confirmation of a second term for the current Government till June/2021). In the Constitutional Court two members will end their mandate in April /2016, another member in March/2017, two other members’ one in May/2019 and the other in June/2020. According to the constitutional practice of the Parliament, the appointment of the two mandates of Constitutional Court that expire in 2016 with a small postpone by the Assembly may be appointed by the new President, expression of the governing majority. In this sense, the same majority in eight years may choose without any restriction 6 members of the Constitutional Court. Even in terms of the High Court the situation is dangerous. According to calculations of the same way a member will end its mandate in April/2016, six members in July/2017, one member in April/2018, another in May/2019 and two others in June/2020. Single-Member bodies are even more in an immediate danger. Thus, the Attorney General’s mandate ends in December/2017, Head of the High Control of the State mandate ends in December/2018, Governor of the Bank of Albania in November/2018. As we can see a constitutional order which has no guarantees cannot protect the country from the abuses of the majority. This is the reason that why there is an immediate necessity for amending the Constitution according to these considerations. Some solutions might be: 1)the election of the President directly from the electoral body; 2)turning back to the Constitution before the modification of 2008; 3)foreseeing a qualified majority of 3/5 for the approval of the members of the constitutional organs by the Parliament.